He made the 30-minute drive over to SunTrust Park and saved the big league club’s bullpen from getting overworked in the Atlanta Braves‘ 11-7 win over the New York Mets on Saturday night. 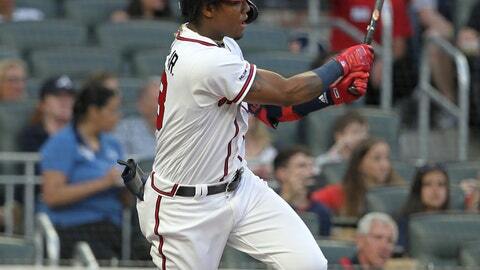 Freddie Freeman hit a go-ahead RBI single in the second inning, Ronald Acuña Jr. had his fifth straight multihit game and the Braves snapped the Mets’ three-game winning streak. Acuña, last season’s NL Rookie of the Year, is hitting .579 with seven runs scored, three homers and eight RBIs during his last five games. Freeman began the day leading the NL in on-base percentage and has reached safely in Atlanta’s first 14 games.